Last week Tim Duck and I set up a bunch of gear to have a crack at some no input mixing. We’d each had a basic play with no input stuff on our own, but wanted to push things a little further with additional gear and effects and collaborating to have someone else to “jam” with. 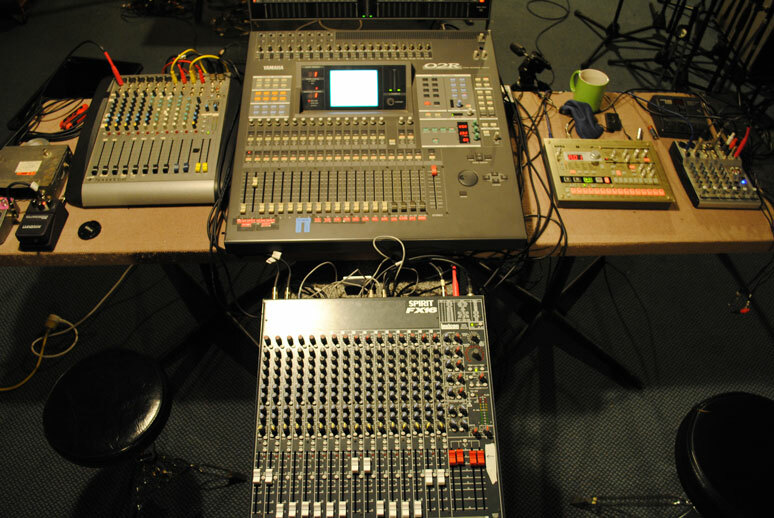 The gear we used including a couple Soundcraft mixers, a Yamaha 02R, a little Behringer mixer and a few boxes for effects. No input mixing is a noise technique where you connect outputs to inputs on a mixer to intentionally create feedback. This feedback is the basis for playing around. In our case we included some effects so that we had plenty of scope for messing with sounds. 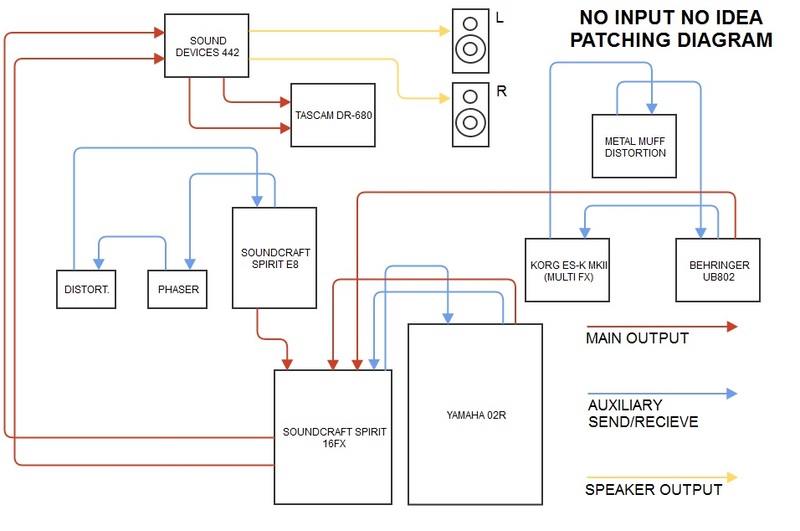 Below is a few edited selections from the recordings, a picture of the equipment used and a diagram explaining the patching of the setup.